Tri-state fire departments are paying their respects to the Key West (Iowa) Fire Department in the wake of Chief Brian Arnold’s death. Arnold, 58, died early Monday of a medical issue, according to Pat Leonard, of Leonard Funeral Home and Crematory and a member of the Key West Fire Department. Dubuque Fire Chief Rick Steines said Arnold’s passing was a shock. “He’s certainly going to be missed across the county, not only by Key West Fire,” Steines said. Epworth Fire Chief Tom Berger, who worked closely with Arnold as part of the county’s fire and emergency medical services associations, called Arnold an icon. “It was a very tough morning for emergency services in Dubuque County and Iowa,” Berger said. Arnold started working with the Key West volunteer department in 1979, according to its website. He was a firefighter and paramedic. He long served as the department’s chief. Daryl Biechler, a member of the fire department’s board, said he and Arnold started together as volunteers. Biechler said being a firefighter was a family tradition, as Arnold’s two sons and a daughter-in-law have been members of the department. He said Arnold was a strong leader who always looked to improve the department with training and updated equipment, and he was active in fundraisers. “He’s going to be sadly missed,” Biechler said. Key West Assistant Fire Chief Chris Tigges said Arnold provided a wealth of knowledge for himself and his colleagues. Tigges said Arnold would come to the department daily to do paperwork, return calls and handle other duties. “Those are big shoes to fill by whomever may take that role (of chief),” Tigges said. Mark Arnold highlighted his brother’s passion for the fire service, saying Brian balanced that role with a full-time job at the Iowa Department of Transportation until he retired a couple of years ago. Mark Arnold said his brother’s death is a tremendous loss for their family, and they are appreciative of all of the support that area fire departments have shown. “It makes us so proud,” he said. Brian Arnold served as the president of the Iowa Fire Chiefs Association from 2008 to 2013, according to its website. Steines has known Arnold for decades, starting when Steines was a volunteer for the Bellevue (Iowa) Fire Department. He called Arnold a dedicated public servant who was heavily involved in the county’s fire and emergency medical services associations. Several officials mentioned that Arnold was one of the proponents who helped establish the Dubuque County Emergency Responder Training Facility in the Dubuque area. Steines added Dubuque and Key West departments frequently responded to calls together and have a great working relationship. “He was on virtually almost every call Key West responded to, just always involved in everything,” Steines said of Arnold. Berger said that, in addition to Arnold’s work in the firefighting community, he was a wonderful man and friend. “Guys like that can’t be replaced,” Berger said. Departments throughout the tri-state area took to social media today to express their condolences and remark on the influence Arnold has had locally. “Brian was a great leader. 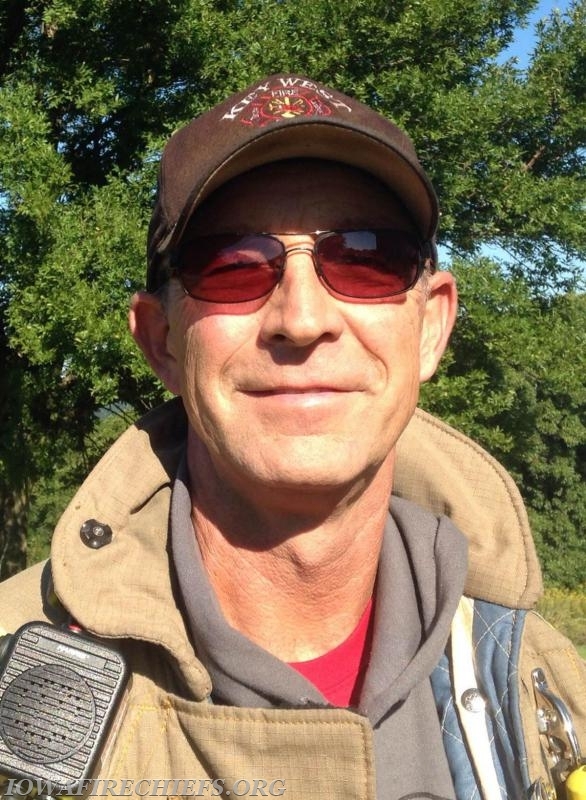 He will be missed by everyone who knew him,” wrote the Centralia-Peosta Fire Department. Asbury Fire Department called Arnold a “legend” among county emergency service providers. “His many years of selfless service to the Key West area and citizens of Dubuque County will be remembered for many years to come,” the department posted.